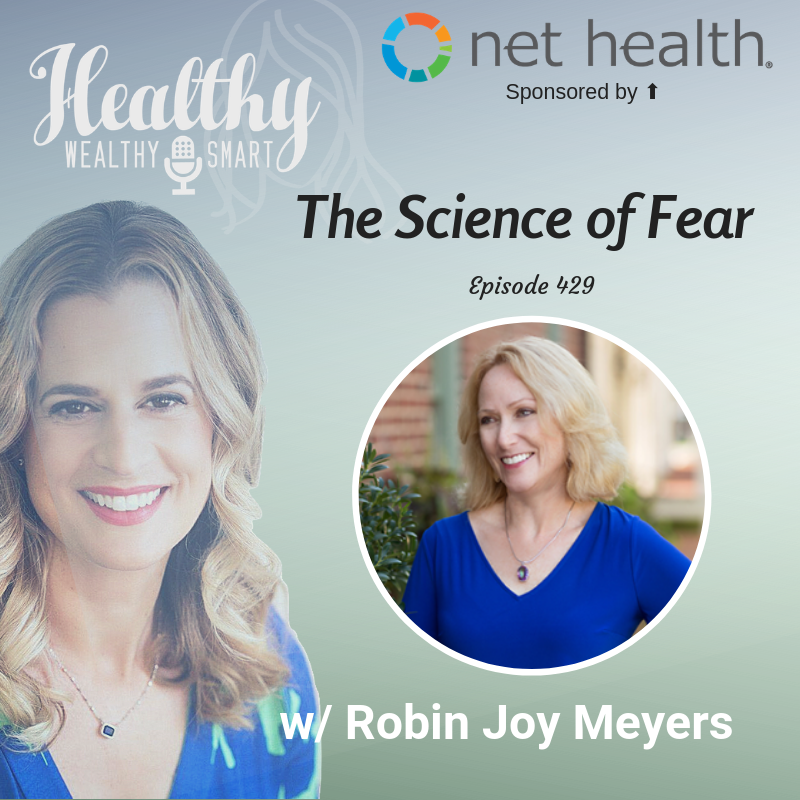 On this episode of the Healthy Wealthy and Smart Podcast, I welcome Robin Meyers on the show to discuss fear. Robin Joy Meyers is an international speaker, fear strategist, molecular geneticist and radio show host. She educates and empowers women who are thought leaders, executives and entrepreneurs. 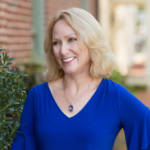 Robin specializes in implementing strategies to harness the positive power of fear to their advantage through executive coaching, workshops, and speaking engagements. Robin Joy Meyers is an international speaker, fear strategist and molecular geneticist. She founded Navigate2Empower to educate and empower women who are thought leaders, executives and entrepreneurs, on how to harness the positive power of fear to their advantage. Robin specializes in implementing strategies for self-awareness, mindset and leadership through executive coaching, workshops, and speaking engagements. Karen Litzy: 00:01 Hey Robin, welcome to the podcast. I am happy to have you on. All right, so we’ve got a lot to talk about here. Just given your bio, we’ve got a lot to dive into. So the first thing I am so curious about is what is a molecular geneticist and how did you get into that field? Robin Meyers: Yeah, I have an eclectic background. I know I got into molecular genetics actually really because I didn’t get into med school. I thought I was going to go to med school and I didn’t get accepted in the states. And of course my parents were like, you’re not going out of the country. I was like, okay. Although now looking back could have been fun. So I went to, I got accepted into Case Western reserve in Cleveland, Ohio and sounded like a great program. So I went and became a molecular geneticist down the road. Karen Litzy: And what does a molecular geneticists do exactly? Robin Meyers: You spend quite a lot of time in the lab. I actually was in a lab working with fruit flies. So in a lab with a lot of fruit flies, killed many of them a lot on research. So I was on research specifically looking for genes that had to do with flight. Robin Meyers: 01:34 So lots of DNA work and I’m not talking about, I’m talking old school, so now I’m going to date myself. Old school, 1986 to 89 where you know, the DNA plates were big glass plates that had to be poured. That was the hardest part I think. Karen Litzy: I mean it’s pretty amazing because now you know, we hear a lot in the news about women in stem, science, technology, education, medicine. So we hear a lot about women in stem and how the push is to get more women involved in these professions. So you were involved in this profession in a time where I have to think there weren’t a lot of women there. Robin Meyers: Well interestingly enough, I never really put that together until recently in my life that maybe I was a pioneer. I don’t know. Robin Meyers: 02:34 I was too shy and quiet then to even think about that. But, it’s true. There really weren’t, and it was really on the forefront because when I graduated it was just the beginning of the human genome project and all of the human genetics. You know, my first job was with the French Anderson Group who was part of that genome project. And one of my companies that I started working for was the first DNA purification columns, like the disposable kind. And it really was on the forefront. So kinda cool. Karen Litzy: No, I think it’s amazing. I think that this is the coolest thing. And, and when I was reading through your bio, I feel like, so just for context, Robin and I have known each other for well over a year now, right? Maybe year and a half, two years, I’m not quite sure. But I remember reading her bio thinking, well, I didn’t know any of this. Karen Litzy: 03:28 I didn’t know you discovered a gene. I did not know any of this. And I just think it’s like so cool that here you were and I will say a pioneer in the fields of stem. And I just wanted to highlight that for people so that, you know, they know that you’re coming from this sort of, I would think analytical data driven background. Robin Meyers: I really am actually, you know, and it’s funny how for me as I developed, I always thought of my science and my master’s degree was kind of just a stepping stone into whatever that next step was of my life. But dots do connect, you know, and when you start to own it, you do see these patterns. I did, I discovered a gene. And it’s funny, it wasn’t until recently, even in the salon when it was like you did what? Robin Meyers: 04:25 And the ironic part is the gene, it’s still called TUB36 because it’s on the chromosome region of 36 in fruit flies has to deal with the wing formation, for fight or flight for flying like dystrophy and working with fear and that whole concept, it’s like, it’s just kind of weird and ironic and exciting and just interesting. Karen Litzy: Yeah, it’s really interesting. And so let’s get into now this other part of your life and your career, which is a fear strategist. So the same question as what is the molecular geneticist I have for what the heck is a fear of strategist. Robin Meyers: So I’ve taken over owning fear strategy because, you know, I became a coach, you know, after I left my graduate degree and became a wife and a mother and went through that phase of my life, and other jobs, I really started to figure out who I was and finding my own voice and dealing with my own fears and things like that. Robin Meyers: 05:38 And so I worked with women giving themselves permission to look outside the box and working in transitions really. And so I’ve been every kind of transitional kind of coach to life strategists. And when it comes down to it, as I’ve owned the molecular genetic side and the science of fear, I was like, I’m a fear strategist. Like really what it is, is being able to understand that fear is real. And I think that’s really where my message is right now. Like, if I can get the world to understand the science of fear, that it’s not just this thing that should stop us in our tracks. Yes, it’s limiting beliefs, but we can work through that. And I think when people hear the science of it and realize that it does work to our advantage, it creates a whole different conversation in this world. Robin Meyers: 06:35 So it makes people stop and say, what is that? Instead of like, you’re just another coach. But there is the science. So it kind of for me kind of stirs up the science and to be able to say, let me tell you, let me explain my science background to you. Karen Litzy: Yeah. So let’s talk about the science of fear. So what is it about fear? What happens with them? I’m assuming that’s what happens within our bodies, when we have that feeling of fear. So could you tell the listeners a little bit more, give us a background on what is the science. Robin Meyers: Okay. So it’s totally fascinating. So the science is, you know, our brains so anyone in science will understand this, that you know, our brain is the most complicated organ in our body. Our emotions basically are lit up from different regions of our brains working together in combination and lighting up and igniting. The fear response is in combination of five areas that light up. Robin Meyers: 07:41 And that’s the amygdala, the sensory cortex, the Thalamus, the hypothalamus and hippocampus, all those areas. When a fear response comes they have to work together to produce that next step for the fear. Now the interesting thing is as all of that coordinates together, the Amygdala, which is like the size of a cashew, not only decodes your emotions, but it stores the imprint of every fear of every response from pre verbal stages throughout your entire life. Like every single thing, if you think of it like a tattoo, like you keep getting a tattoo with every single thing every fall, every emotion, every emotion associated with fear is another tattoo. And I don’t think people actually realize, it’s almost like if you could kind of tell me all about your life and actions that have happened. And I could sit there with a stamp, an ink pad, and just stamp a piece of paper and like you could physically see how many imprints you have. Robin Meyers: 08:53 It’s fascinating because not only do imprints start storing prior to you even realizing it, and that’s more so because our parents impose their imprints of fear on us, but every little thing for the good and the bed. So there’s a whole pattern of evolution that happens. Karen Litzy: First of all, I love the metaphor of the tattoo imprinting in the Amygdala. I love that. I’m going to start using that with patients who have chronic and persisting pain. I love it. Thank you. And it takes me back to, you know, as you know, Robin, I have a long history with chronic pain and a lot of that was centered. What kind of made the pain worse or prolonged would be fear avoidance behaviors. So I can’t do that. It’s going to hurt my neck. I don’t want to do that it’s going to hurt my neck. Karen Litzy: 09:55 I can’t sleep. It’s going to hurt my neck. So now I look back and think of that day when that pain first happened, I woke up and couldn’t get out of bed. So much pain. And the thing that I guess I didn’t connect until right now was how fearful I was. How fearful I was laying in bed not being able to move. So can you imagine the size of that Tattoo in my amygdala? Robin Meyers: Yeah, exactly. Exactly. So the idea is to take it one step further is to realize what those imprints are and remove the ones that aren’t serving you. And you know, that’s easier said than done. It’s not easy. No, no, no. I’m not saying any of this is easy, but there’s some that have been imposed that you really can’t put your finger on it. Robin Meyers: 10:52 Right? And then there’s some that you’ve had an accident or something that you can put your finger on it, but it’s not serving you. And then there’s some deeper wounds that you really have to work through. But if you can start removing the ones that totally aren’t serving you and actually work through it so it makes you the more you’ve worked through it. What I find with my clients, with myself, just people I deal with, it makes you live much more presently and actively and it takes courage. I always say it’s actively moving through the action with the conscious courageous presence because you have to be present and it is, it takes a lot of courage, no doubt. Karen Litzy: And how do you start working through some of these things? Like can you give the listeners, I don’t know, one or two tips or exercises that they might be able to start doing today if they realize they have a fear that might be holding them back. Robin Meyers: 11:54 So the biggest thing really is self awareness. It’s really taking the time for you to understand who are you and just you forget kind of the noise of what your responsibilities are. If you’ve got, you know, spouse, dog, kids, whatever stage of life you’re in and everyone has a different stage. So, and just to tell your listeners I had three kids and now 22, 24, 27. So I’ve been through a lot. Trust me. So I get it all. But whatever stage you’re at, I only say build in five minutes every morning just to be in your own thoughts. And ask yourself, what do you need? You know, it really does come down to self awareness and saying, these are my non negotiables for me only for me. And you’re going to find that you become very aware of people that work in your life, things that work in your life, conversations and what’s acceptable. Robin Meyers: 12:57 Once you start doing that, you’re able to kind of start peeling away and going after things that have held you back. You know, the other side of this conversation is that our brain, as brilliant as it is and everyone’s brain is, is great at keeping us in the patterns that it’s been given. So a lot of that is reprogramming and there’s ways to actually get into your subconscious and reprogram. But it is reprogramming. So it’s baby steps and sometimes it’s two steps forward and three steps back. And it’s being very gentle with yourself and not beating yourself up and saying, okay, tomorrow’s another day, but it’s just breaking into a new pattern. Karen Litzy: And those patterns I agree in the brain can be so deeply set, deeply set from childhood into adolescence, into adulthood. Like you said, whenever a stage in life that you’re in. Karen Litzy: 14:01 And you know, again, I go back to this population of people with pain, which is a huge population across the world. It’s a $1 billion industry and that’s just back pain, forget about every other kind of pain. So I think being able to work with someone to maybe tap into some of these patterns that we have developed, I think can really help people perhaps make sense of some of their pain, help overcome some aspects of that pain. I can say anecdotally from myself, so an n of one that being able to do that for myself was really helpful, I felt was for me the next step that needed to happen. Robin Meyers: I totally agree with you. It’s sometimes like those patterns of talking yourself like, but if I get out of bed I might hurt. But if you don’t get out of bed and you don’t try, will you hurt? What is that risk? Karen Litzy: 15:13 Looking at the risk reward there. Right, right. Robin Meyers: I’ll go back to a story if you don’t mind. When I was 11, I think I was 11 I used to ride horses. I don’t even know if I was good at it, but I used to ride horses. I had a really bad accident and I broke my back in three places. I ended up being fine. Actually it ended up being a blessing in disguise because I had a horrible scoliosis that they discovered. But I was in a back brace and possible surgeries and you know, initially it was like, is she going to walk? And things like that. It was a nine month recovery, but, and I was 11, so I think it, as much as it affected me, my parents really obviously dealt with it. Robin Meyers: 16:01 Fast forward to my daughter being 10 years old and we lived in the countryside of outside of DC in Virginia where horses are Galore. She wanted to ride horses. I actually didn’t think twice about it. It was a local farm. It was around the corner. I would take her, I would watch got her all the safety equipment. My father happened to call me, my mom had already died and my father had called me and didn’t call me often. And instead of like, hi, how are you today? He just ripped into me. He just, you know, his, the first thing out of his mouth was, I’m so disappointed. Are you stupid? And I was like, oh well those are triggers to my childhood. Hello father. But when I sat, now when I process it, I understand in a way where he was coming from and I said, she’s fine. Robin Meyers: 16:53 I had an accident and I understand your thoughts. So for me, I honestly had to make a conscious decision to say, I could have easily said, you’re not going to ride because I had this accident and I’m afraid for you versus processing. Listen, it was an accident. Logically it was an accident. I’m going to be there. We have all the possible safety stuff. Is there a possibility of an accident? Yes. Is there the probability? I don’t know, but why am I going to not let you try something because of what happened to me. So that’s an easy imprint to get rid of. Right. But it’s just an example of making a real conscious choice to say, I’m going to cut that cord right there and not let that pass on. Because if I let it pass on, then she at some stage in her life would either say, I’ve always wanted to do this and I’m going to try it, or I’m never going to try it, but I wanted to do this. Karen Litzy: 17:57 Yeah. And you are able to kind of change that imprint. You cut that fear, but your father couldn’t. Robin Meyers: No, he couldn’t. He was furious. Oh, he was so mad. And that’s coming probably for him of a place of fear. Karen Litzy: Right. I’m sure when that accident happened to you, your parents must have been beyond scared. Robin Meyers: I’m sure. I’m sure. And for them, you know, they obviously had to drive to every doctor’s appointment and all of that and every ounce of pain I felt probably was as bad, if not worse for them. Right. As a parent. So. Sure. So I get it. Karen Litzy: Yeah. Yeah, I get that as well. And I think that’s a really great example for the listeners of how you can start to change these imprints or tattoos that have taken hold in your brain to allow you to move forward in the PT World. Karen Litzy: 18:55 And this is probably in more worlds than PT, but we call that graded exposure to activity. So for instance, for me, I’ll give an example. I felt I couldn’t carry anything because it would hurt my neck. So I carried nothing around New York City, a place where you have to walk everywhere and groceries and things. I was like, I can’t carry anything. So I always get everything delivered until, until the one day. I spoke with a physical therapist from Australia, David Butler, and he said, well, why don’t you just go to the grocery store and put like, I don’t know, a loaf of bread and a bag of snacks in it would be so light and just carry it home and see what happens. Right. And so that’s what I did and I got home. I was like, okay, that felt pretty good. Karen Litzy: 19:49 And then each time I went I would add one or two more things to the bag. So gradually exposing myself to the activity that I was fearful of doing. Until now I can carry, I’m like a pack mule, you know, running around New York City. But if he had not encouraged me and helped me to see that I was doing a disservice to myself through fear, I don’t know where I would be today. And I’m assuming that’s what the kind of work that you do with your clients is helping them to see the fears that are holding them back. Robin Meyers: Right, absolutely. So I try and work with everyone to see, to acknowledge what it is. And you have to acknowledge it, right? I mean it’s something, but once you peel back that layer of it, is it logical or illogical? Robin Meyers: 20:46 Did something happen or did something not happen? And then what is the origin of it? And, with the groceries, how do you start working through it? Because when you become more present and you start learning about you and like using you as an example, right? You learned that you are stronger than you thought, it didn’t hurt and now instead of holding yourself back. So you did move through it and you actively were aware of your surroundings and how you felt. There’s actually a genetic disorder called Urbach-Wiethe disease, and it’s a mutation where people cannot feel fear. It’s very rare. It’s like 400 people in the world or something and its parts. It’s not just in the Amygdala, it’s parts of certain regions of that combination of the brain. I don’t know the other regions, but like that harden and kind of waste away. Robin Meyers: 21:50 But now that wouldn’t work to your advantage. Right. I mean you want to have that element of awareness and I think that’s what fear needs to be looked at like a positive awareness of listening to yourself. Karen Litzy: Yeah. And I think oftentimes when you’re coming from a place of fear, you’re in it so to speak, it’s really hard to acknowledge that because do people feel like acknowledging that is acknowledging a weakness that they might have? Robin Meyers: Exactly. And that’s where the conversation needs to shift. Because I think when people realize that the science of fear exists, like the diagnosis is, it’s not if you have it or not. Everybody has fear. Right. So if we want to talk like, you know, as practitioners, the diagnosis is you have it. The prescription is you have a choice on how you react to it. Karen Litzy: Yeah, for sure. You definitely have it. We all have fear and how that fear manifests itself. Now in the beginning you said it could be good or bad. So how could fear be good? Cause I think we always associate with fear being bad. Robin Meyers: Right? And that’s what has to change. That’s the conversation that needs to shift because I think there’s an element of fear that’s good. I really do. I think it needs to work to your advantage. You know, I honestly think that it makes you stop and think. Robin Meyers: 23:29 Now again, there’s different levels of people’s fears, right? So I don’t think in an half hour or an hour we’re going to be able to like solve the world’s problems. It’s good because it makes you actively move through the action of fear. So if you can take that imprint in that tattoo and look at it and say, answer the question, what is it? Identify what is it? Why am I afraid of this? Why? Why is this going to hold me back logically? Why is this going to hold me back. Karen Litzy: Logically? See but that’s the hard part. When you have fear, it’s hard to get that logic, right? Robin Meyers: And that’s the whole part though of almost, you have to reverse the brain, your brain function and trick your own brain because your brain is going to keep you set in that fear based negative side. But we need to do is switch that whole paradigm to the positive side. Robin Meyers: 24:36 So I was at a course for a workshop that I did and I was one of the facilitators and the last part was this trapeze for some reason I don’t like heights, I’ve never fallen, but just not my thing. Like I’m not going to jump out of an airplane anytime that like it’s not enjoyable for me. I don’t ever see doing that. But this trapeze, and this was like a pretty rustic course by the way, climb up this 40 foot tree that had the little pegs in it. Yeah, turn around on a very small perch and jump, you know, like four feet out to catch the trapeze bar. I sat there for a while looking at it as most of the people were going and I’m like, I think I’m good for the day. And then I’m like, you really got to go do it. Like why not now? You’re totally harnessed in right. So logically I’m harnessed. There’s no reason why I shouldn’t, my body on the other hand is like, I’m shaking like a leaf. I know I can’t get hurt. Robin Meyers: 25:42 Just do it. Like you have to trust yourself to just go do it. I ended up climbing up this tree. Of course when you get up to the top of the perch, I was turned around and hugging the tree. Yeah, I could see that. Yeah. Yeah. And like the guy below is like, okay, turn around. And I was like, yeah, give me a second. I’ll be there in a moment and you know, go to the edge. Then they’re like, just jump. And I was like, Eh, okay. You know, and you’d have to pause. But again, it’s that logic and your brain playing games with you. But again, I’m standing in a harness where I know I’m not going to do a face plant onto the ground. So I took a deep breath, right. And eventually walk to the edge and put my arms in front. Robin Meyers: 26:31 I actually caught the trapeze. Thank God that would have been embarrassing. But I trusted myself, you know, again, will I ever jump out of a plane. No. Cause that’s not enjoyable to me. Karen Litzy: Like there are limits to where you can push yourself. And if it’s not like Marie Kondo says, if it’s not going to bring you joy, then you don’t have to do it right. Robin Meyers: But, I did it and it was a point, it was more proving to my own self that I could take that leap of trust. So that’s where I think it’s really getting in tune and in touch with yourself that you can understand fear working for you and not against you and really using it to move you forward in life. You know, I remember when I first started coaching, one of my first instructors said, when you’re excited about something and you’re fearful of something, like that’s a great combination. And I’ve always really, it’s always proven true to me and I’ve always believed it. Because it’s kind of like not proceed with caution. It’s just be aware. It’s just that self awareness, you know, listen to yourself, trust yourself. But go for it. Karen Litzy: And I think that’s great advice. Listen, trust and go for it. Yeah. I mean, why not? Because what’s the worst that can happen? You fail. Karen Litzy: 28:07 And that’s okay too. Right? Okay. I failed plenty of times. Oh my goodness. If you never failed in life, what have you been doing with yourself? Right. So I totally get that. And now, so you went from, like I said, molecular geneticist to fear strategist, coach. How did you make that transition? I think this is a great question because there are a lot of people who work in healthcare, very science based who are like, hmm, maybe I’m ready to make that leap, but I just have no idea what to do. Robin Meyers: It’s a great question. So my transition took many years and let me cut it short for everybody else in the world. So obviously I was younger and did my molecular genetics training and jobs, and then I took a stint of time to raise a family and then I went back into the workforce smaller jobs. Robin Meyers: 29:18 I always taught. I ended up finding, I taught biology and stuff like that. So I kept my science going. I’m not into research in my later years, but I kept it going and then realized that I never really gave myself permission to be me and to use my voice and my strengths. And so that’s when I started to kind of look towards the coaching program. And especially working with professionals and women professionals. I think overall, but all professionals allowing themselves to think outside the box. And in saying that, you know, and this comes down to the whole fear thing, we’re always told that you know, you’re either left sided, your brains left side or right side, right, were dominant in one side or the other. So I really don’t believe that. I feel like when you give yourself permission to really learn who you are, there’s a great synergy that can happen and you can combine both sides of your brain and that’s when you really start listening to yourself. Robin Meyers: 30:29 So, even if you’re in a science based world or something, you know, for me, my greatest strength right now is really connecting the dots back into the molecular genetics of fear and being able to bring a whole different angle and discussion and awareness, that I would not be able to. And I don’t think many people can have the discussion that I’m having with it cause they just don’t have that. So I think it’s great to be able to combine your sciences and whatever creative side that you want to. Karen Litzy: Yeah. So don’t throw away the science part, use it, use it to your advantage, use everything you’ve learned to help others. Robin Meyers: Absolutely. There are ways to connect the dots. And I mean, like you and I, you were saying, you know what, we’ve known each other a couple years and it wasn’t until recently that I either admitted it or if you guys found out that I was a gene finder. Karen Litzy: Now knowing that it makes so much more sense for what you do now. Karen Litzy: 31:47 Now I’m like, oh, now I, yes, this makes perfect sense. It just comes back full circle as to that. I think the natural progression for you in your career and you know what was next for you. To me it all makes sense. Robin Meyers: Yeah, it makes sense to me now too. It really is coming full circle. And I was actually just having a conversation. Someone’s like, you know, you’re kind of been in this business for several years now. And I’m like, actually I feel like I’m new. I almost feel like I’ve started over again just because I finally allowed myself to Mesh the worlds together. And that’s what I would say is, you know, you don’t have to stay science in the left brain and whatever the creative is the other side, you can mesh it and at whatever stage of life you’re at, you know, if there’s something that really excites you in that other world, find the time. Robin Meyers: 32:44 And even if it’s once a month or once a week, you know, find something in that other element that you want to explore it. Karen Litzy: Yeah, absolutely. Great Advice. And, now that takes me to the last question that I ask everyone, but I feel like you might’ve just answered it, but I’m going to ask it anyway. Knowing where you are now in your life and in your career, what advice would you give yourself as a new Grad, as the molecular geneticist fresh out of college and Grad School? Robin Meyers: Well I was very much an introvert, so maybe be a little more outspoken. But to allow things to happen and not think that it had to be one way only. I walked that line, like if it wasn’t going to be something, just molecular genetics, then I had to leave the field. Robin Meyers: 33:43 You know what I mean? And I think if I knew what I know now, although again, it all works full circle, I would have realized like you can think outside the box and I think that’s what makes us all unique and you know, whatever your background is, you’re bringing a very special element to the conversation. So think outside the box. And that’s where I would have said to myself, you know, don’t stop being creative just because you’re taking one path. Karen Litzy: And, I think that’s great advice for anyone, but especially for women in the stem profession. I think that’s really great advice. And now where can people find more about you? And if they have any questions where are you? Robin Meyers: The best way to find me is just to go to my website, which is www.robinjoymeyers.com. And from there you can get on my calendar. Robin Meyers: 34:43 I’m always happy to set up a discovery call with anybody if you want to have just a chat for 40 minutes and you have questions, things about what I’m doing and where I’m traveling and busy speaking with the fearless women’s summit right now, all over the US. And I’m taking a group only of 10 women to Italy in October for a retreat of giving yourself permission to be you. So yeah, just go to my website because that’s the easiest way to find me. Karen Litzy: Awesome. Well, that sounds pretty amazing and thank you so much for coming on and sharing all of this information on fear with myself and with the listeners, and I can tell you, I said I’m totally using that tattoo thing. I think that’s brilliant. So thanks for that. I’ll give you credit for sure. I will credit you for that. Thank you so much for coming on. I appreciate it. Robin Meyers: Thanks, Karen. It’s been a blast. Thank you. Karen Litzy: And everyone out there. Thank you so much for listening. Have a great couple of days and stay healthy, wealthy, and smart.